How to build Hydroponics system? Building a hydroponics system can be as easy as placing a strainer over a bowl and sprinkling some fenugreek seeds on the top. Proof of concept apart when building a hydroponics system one must first decide on if they are looking to do this as commercial farming set up or to do hydroponic farming at home. Someone with the plan of doing hydroponic farming in Bangalore would have to look at a commercial farm from the angle of where, how and what. The location, the technique of hydroponics and the what needs to go into this farm. For the purposes of this post, we will look into the what as it directly deals with the how to build aspect. 3.Ebb and flow tubs– Nursery growing and leafy greens. 4.Media beds– Microgreens and tender tubers. Each of these methods is specialized or give the best growth with some crop varieties but does not work as a “one size fits all” method. 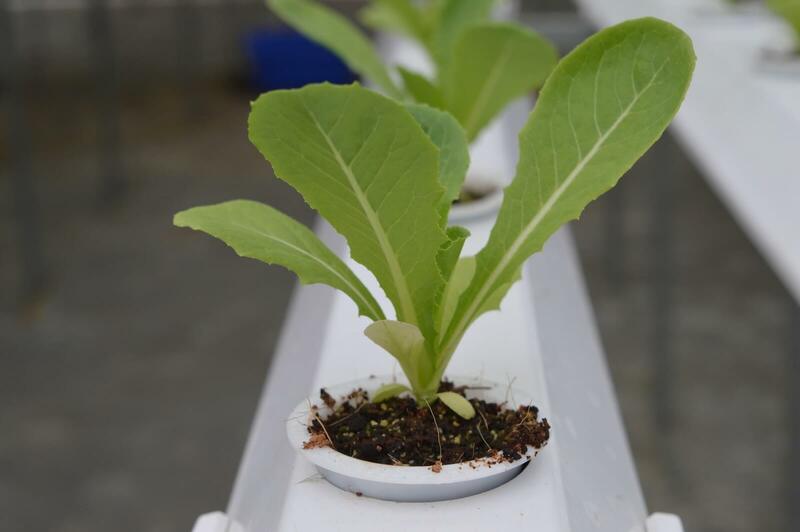 This, in turn, brings out the beauty in hydroponics as it means that each growing method’s application can optimize resource use, material requirements, and cost. To explain the principles of building a hydroponics system let us take a look at the NFT growing method. An NFT system will require to grow channels or pipes with holes to place the plant holders, these pipes will have to be outfitted with inlet and outlet drainage to create a flow of water from one end of the growing channels to the other, the movement of water can be done with a pump. The grow pipes will have to have caps that dictate the level of water maintained in the pipe at the ends and plumbing to bring the water down into a central reservoir. Having a central reservoir is a good idea as it reduces the need for parameter checks in multiple locations. The water parameters that are of utmost importance in hydroponics are pH and Electrical conductivity/ ppm/ TDS of the water. The TDS dictates the number of dissolved nutrients and this varies with the age of plants. As with all living beings plants need more food as they grow and thus the TDS of a hydroponics system will increase over time. 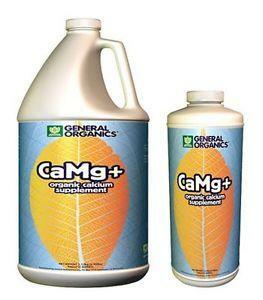 pH is a factor that influences the individual uptake of growth necessary plant nutrients, pH levels for hydroponics are recommended to be between 5.5 and 6.5 as this is the optimal range in which all the 18 essential micro and macro elements plants require are taken up by the roots most readily. Hydroponic systems also need to grow media the classical nature of these media is that they are inert and as such give no nutrition or boost to plant growth but rather touch upon other important aspects such as aeration, root support, and stem support. Commonly used inert media are washed coco peat, hydroton or Light expanded clay aggregate and rock wool. It is also important to note that some media are better for some types of systems and crops than other. For ex( media beds for microgreens usually have cocopeat whereas ebb and flow systems for nurseries of fruiting crops usually contain hydroton. Rockwool cubes are used commonly as seed starters. Building a hydroponics system works best when reverse engineering from the needs of the plant, their life cycle and stages and to tie that into maximizing efficiency and output. 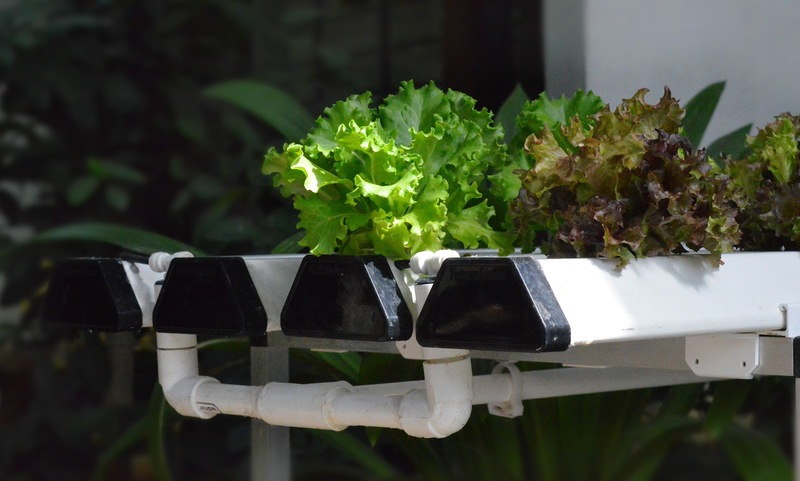 Building a hydroponics system can be as simple or complex as you would like it to be.